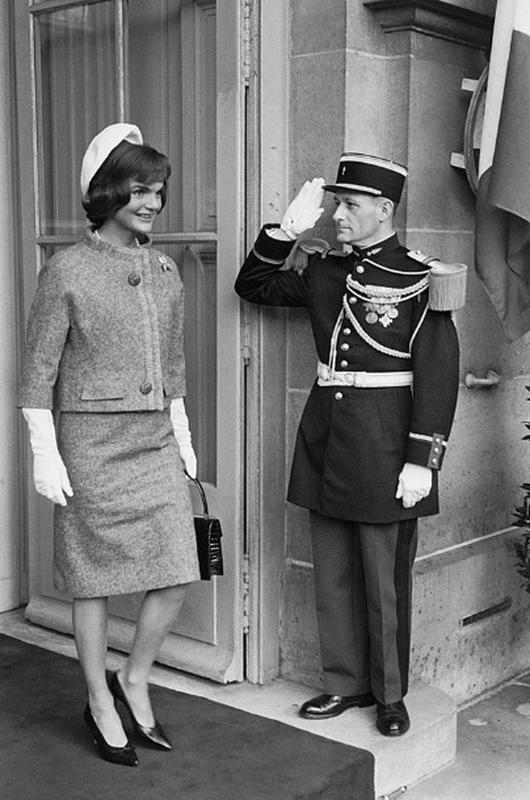 Jacqueline Kennedy was undeniably a role model to many women in the 1960s. Contrary to the belief of others, she was not an heiress, nor was she unfamiliar to hard work --- but she was a style icon for sure. 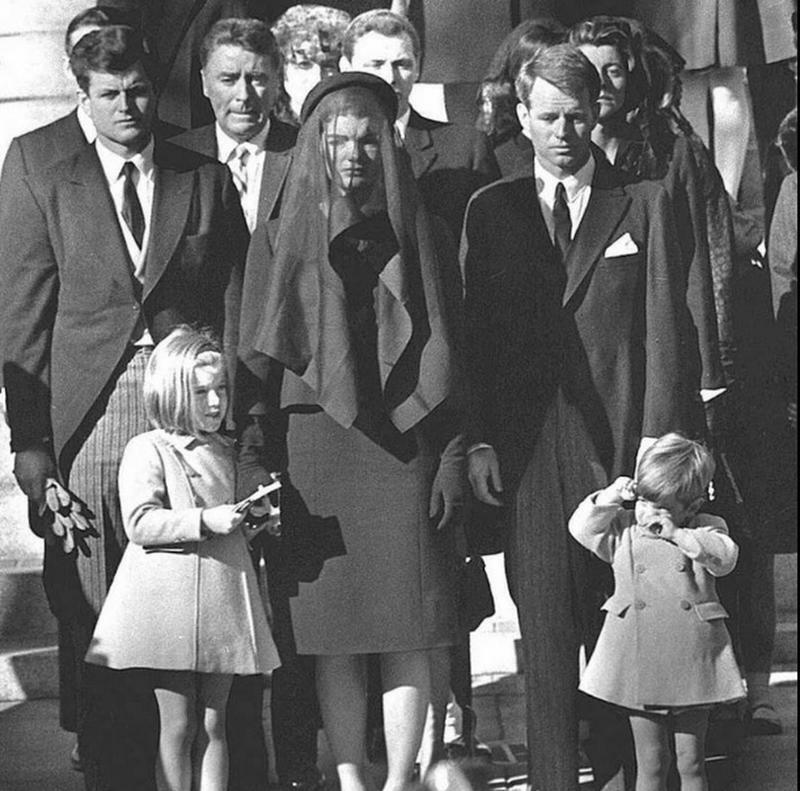 What women of that era could relate most to was the strength she displayed during the wake when her husband, President John F. Kennedy, was assassinated. The whole country was in need of reassurance and looked to her for it. 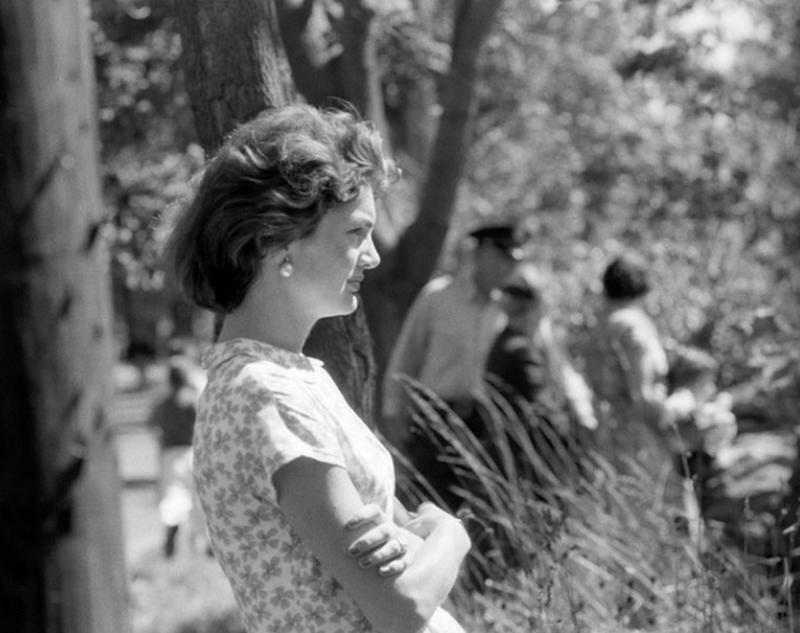 Photo captured of the engaged couple in 1953, vacationing in Hyannis Port, Massachusetts. 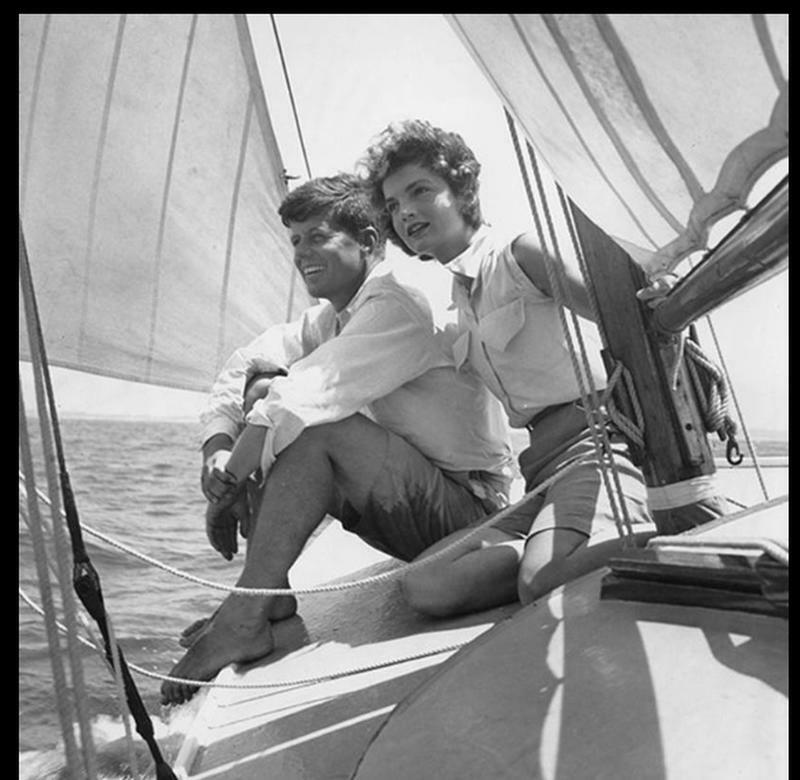 Candid picture by Toni Frissell, September 1957. 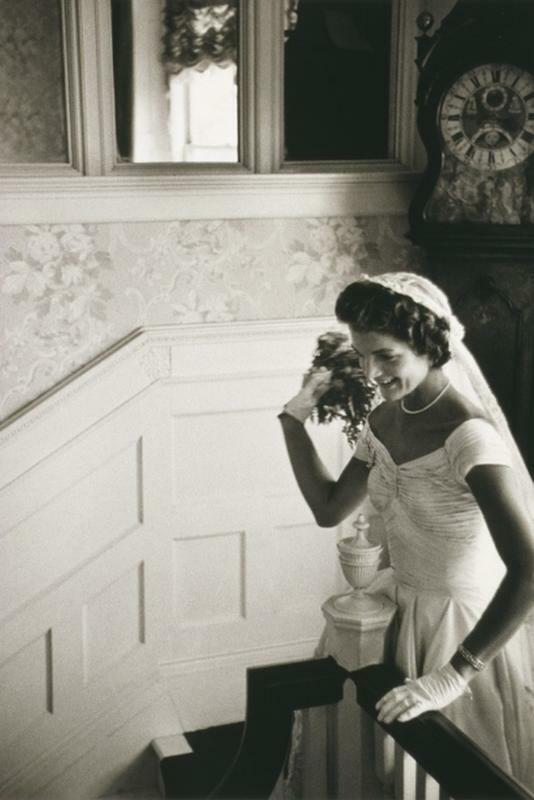 The dress Jacqueline wore when she got married on September 12, 1953, cited as one of the best-remembered bridal gowns of all time. 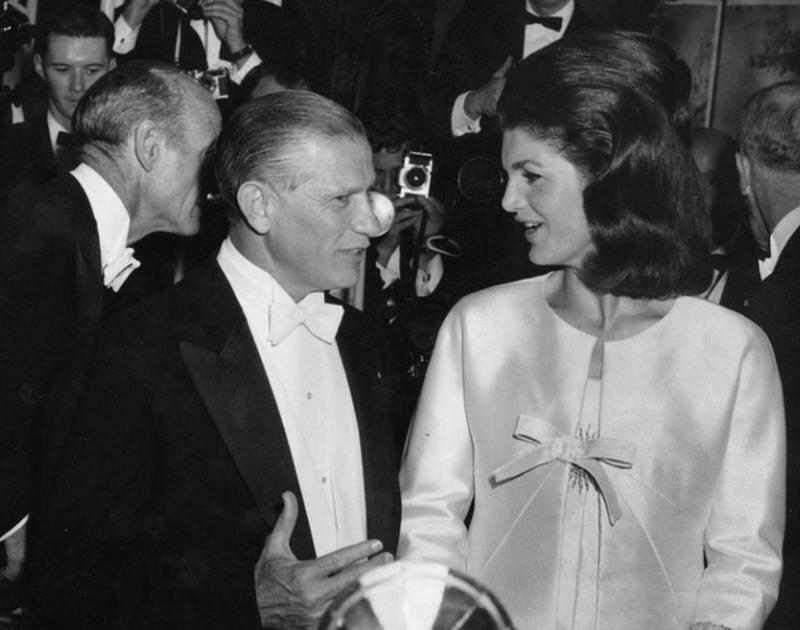 The power couple who would influence the news throughout the early 1960s. 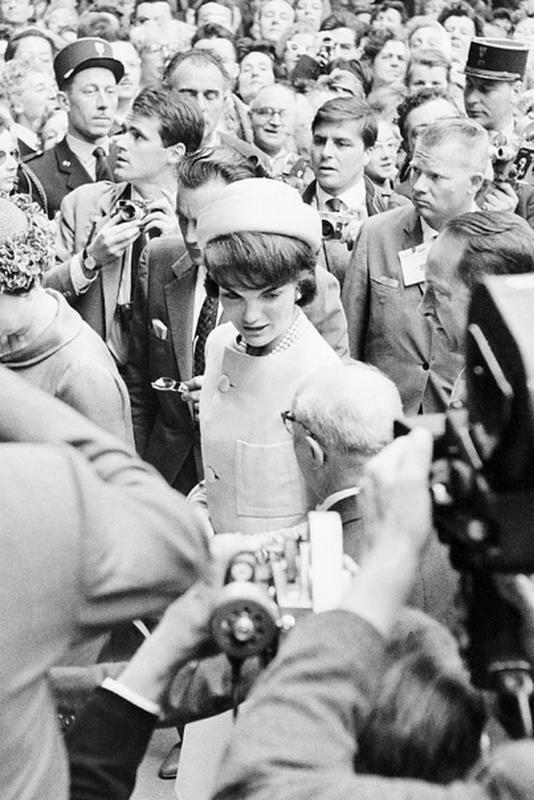 Jacqueline Kennedy during her visit in Paris in 1961, is greeted by the crowd. Vanity Fair mentioned, “They had seized upon the widow’s demeanor of emotional control at the funeral to transform her from a symbol of helplessness and vulnerability to a symbol of resolute strength”. 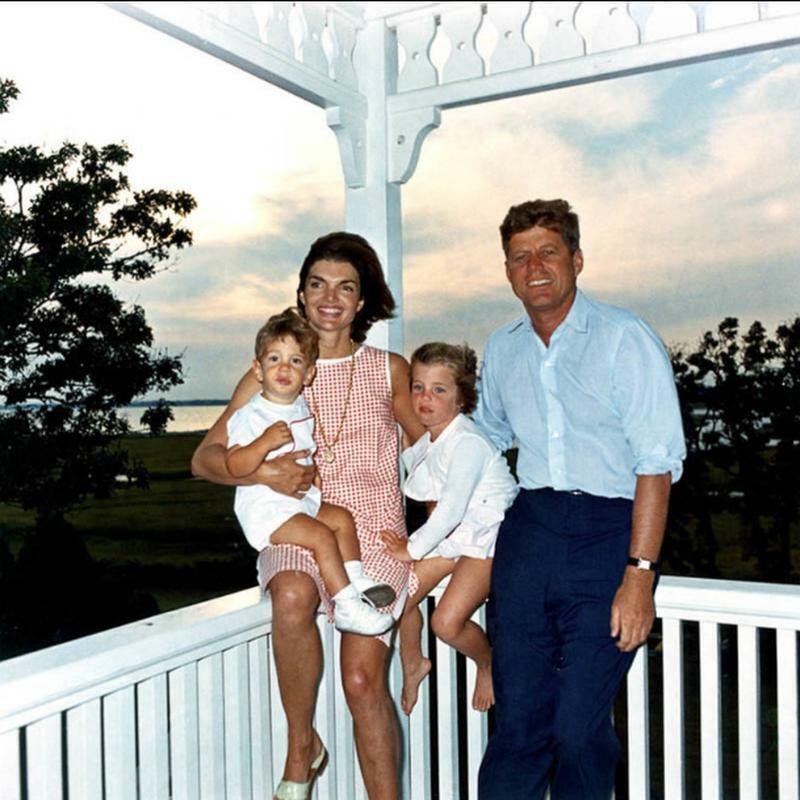 When her husband died, Jacqueline Kennedy was no stranger to such tragedy for she had lost two children in infancy before having her husband die in her arms. 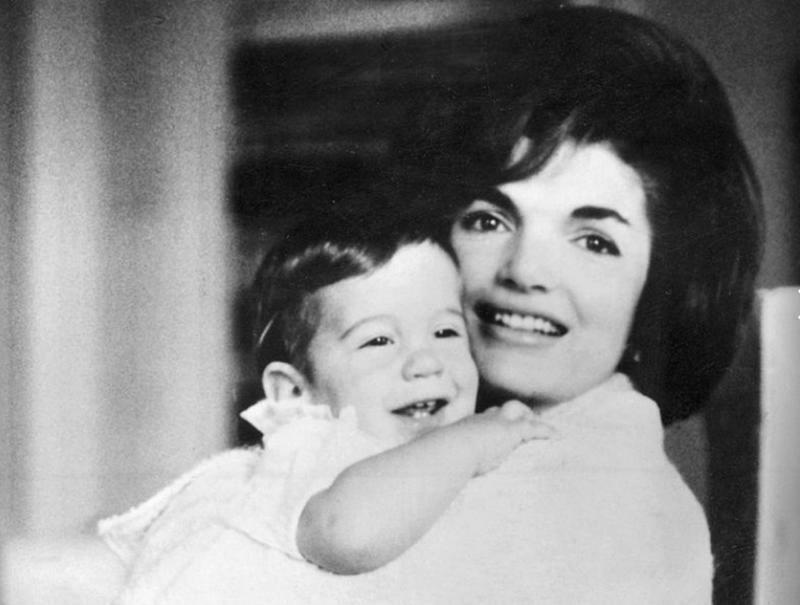 Jacqueline holding her son, John Jr., who was born on November 25, 1960. He would be attending his father's funeral on his 3rd birthday. 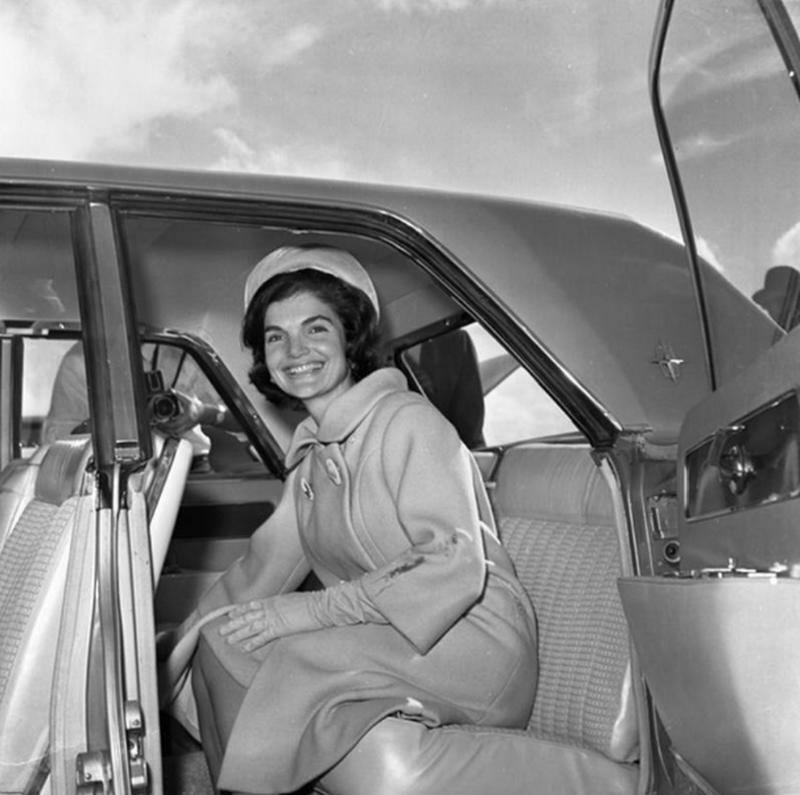 A photo of Jacqueline Kennedy arriving in Palm Beach in 1961. A captured tender moment with John Jr. in the White House nursery. 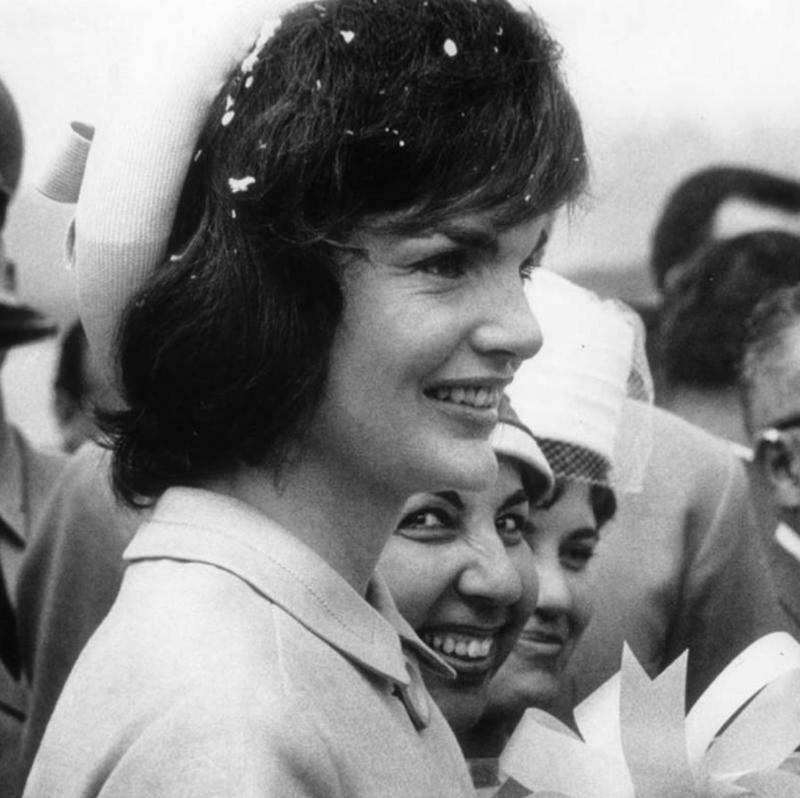 Jacqueline arriving in Venezuela in December 1961. 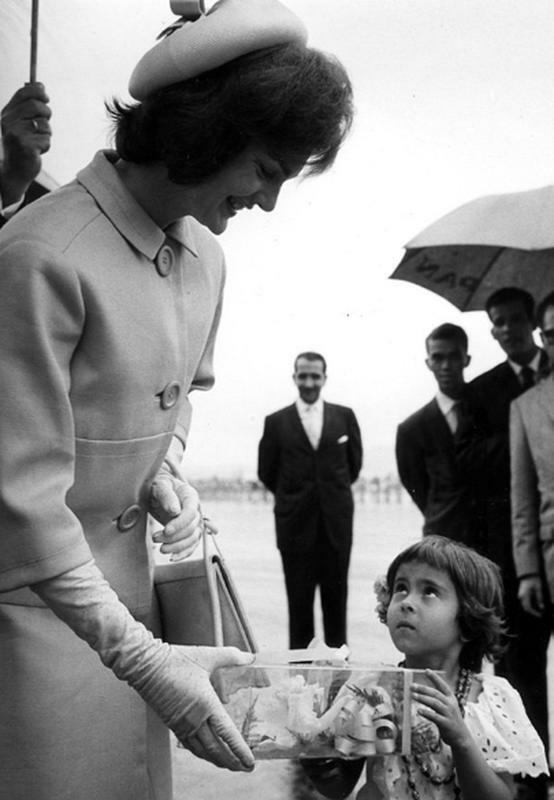 The first lady receiving a corsage from a child during the arrival ceremony at Maiquetia Airport, Caracas, Venezuela. 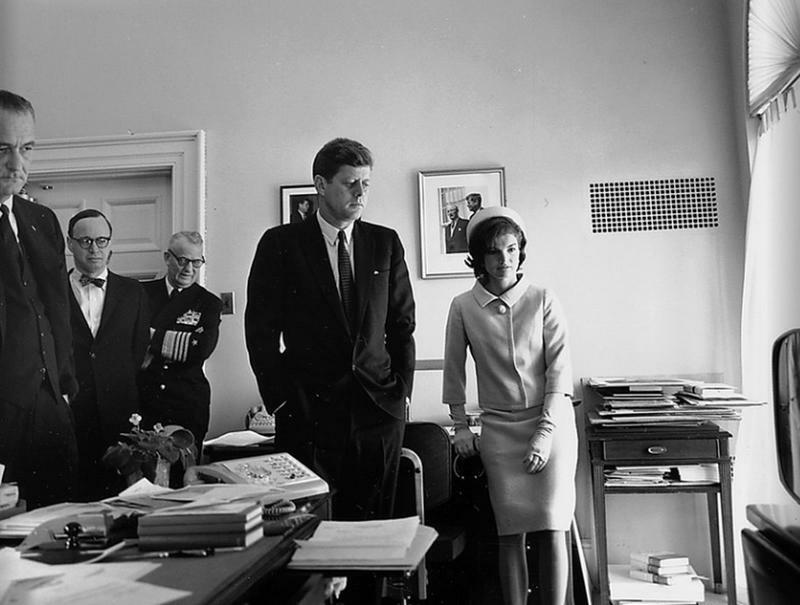 A moment where John F. Kennedy, Vice President Lyndon Johnson, as well as the first lady watch intently the 1961 launch of the first American in space, Alan Shepard. 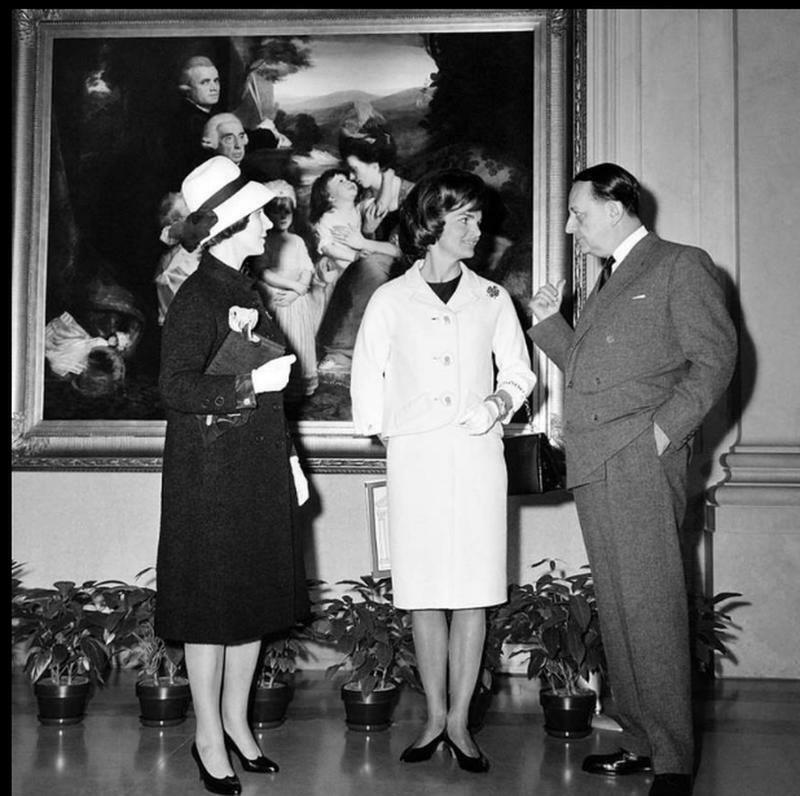 A photo of French Culture Minister Andre Malraux and his wife Madeleine talking to Jacqueline Kennedy on May 12, 1962 while at the National Gallery in Washington, D.C. Together with her beloved husband and children, August 4, 1962. 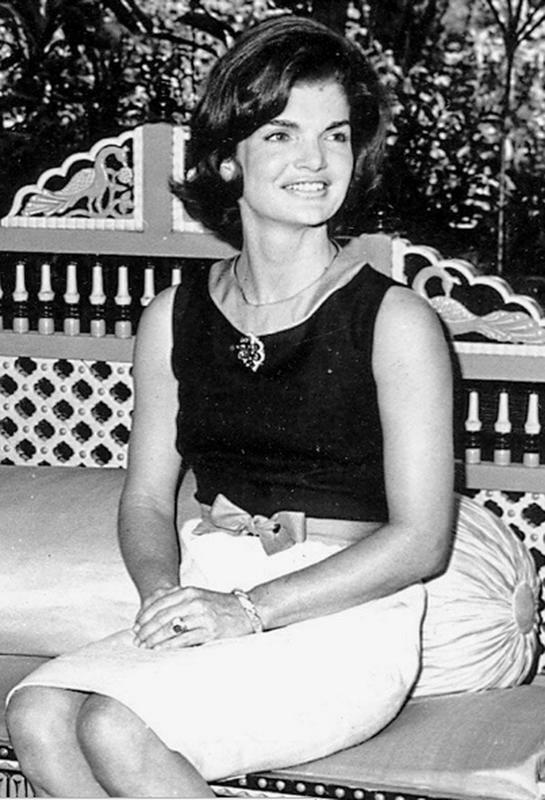 The first lady during a 1962 trip to India. 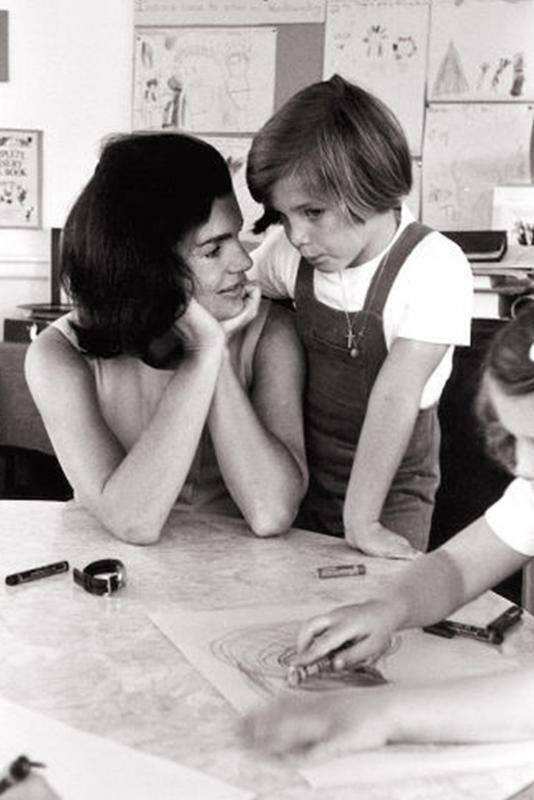 Jacqueline Kennedy, her daughter Caroline, along with a classmate during the first lady's visit to the White House School on May 24, 1963. In the agony of PTSD following the shooting, the first lady focused her attention on constructing the John F. Kennedy Presidential Library and Museum. 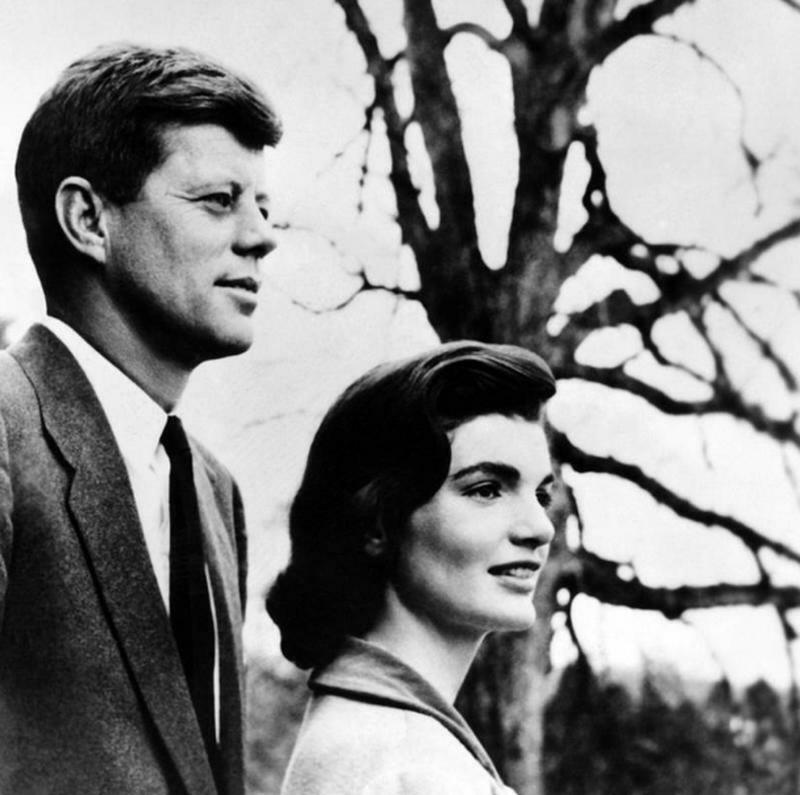 Her grieving was quiet; Kennedy did not mention the incident after 1964, when she taped a candid history of the events, released in 2011, 17 years after her death. 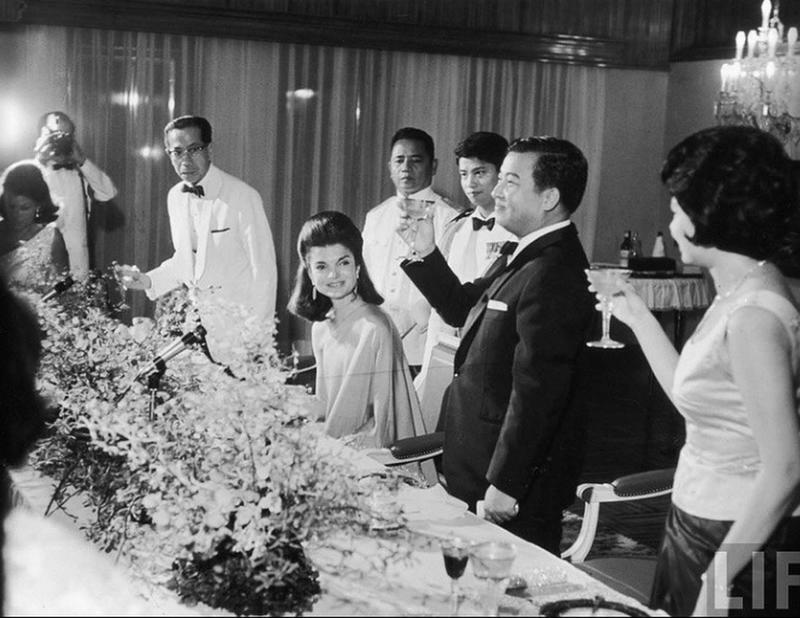 Jacqueline Kennedy with the Prince Norodom Sihanouk and his wife at the royal palace in Cambodia, 1967. Jacqueline Kennedy with the Governor of Massachusetts John A. Volpe. 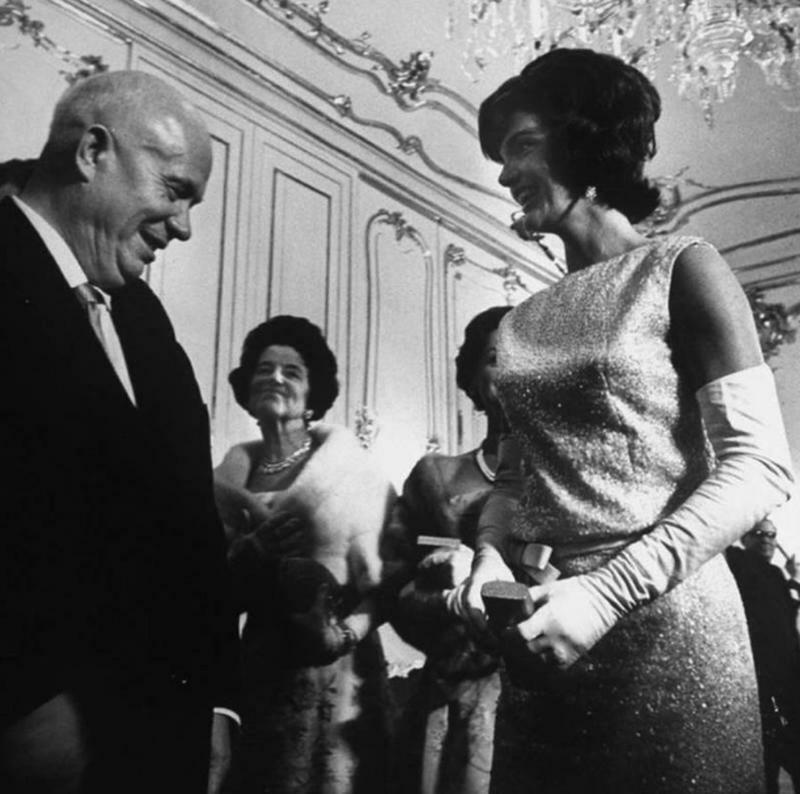 A photo with Soviet Premier Nikita Krushchev. 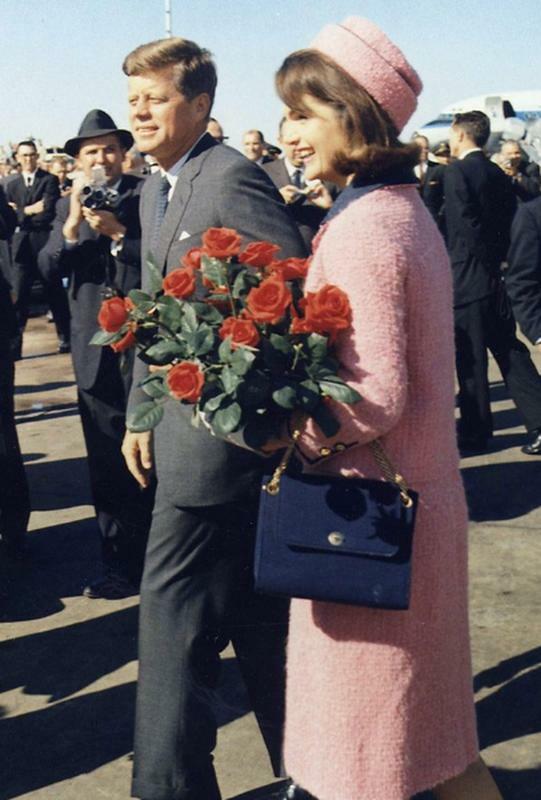 The Kennedys arriving at Love Field in Dallas, Texas on November 22, 1963, the day of JFK's assassination. 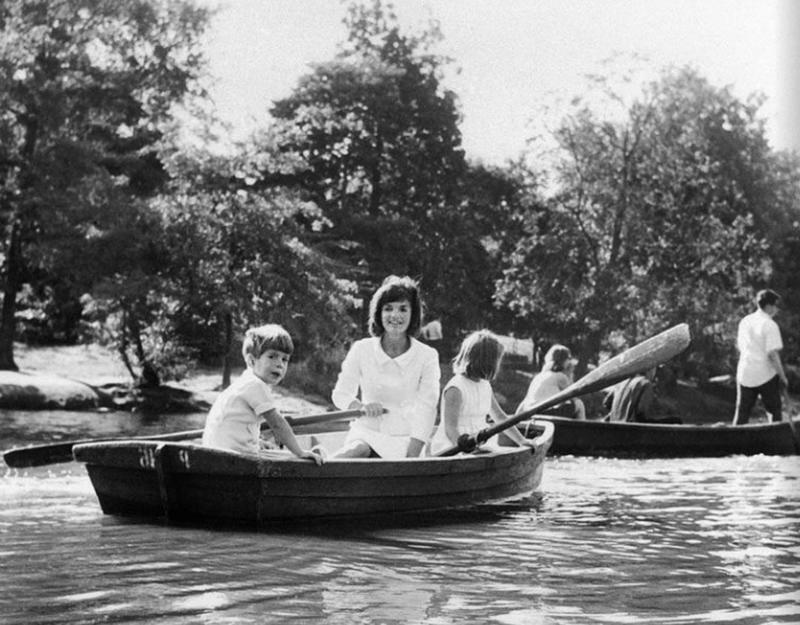 A captured photo while boating in Central Park, New York, on September 16, 1964. 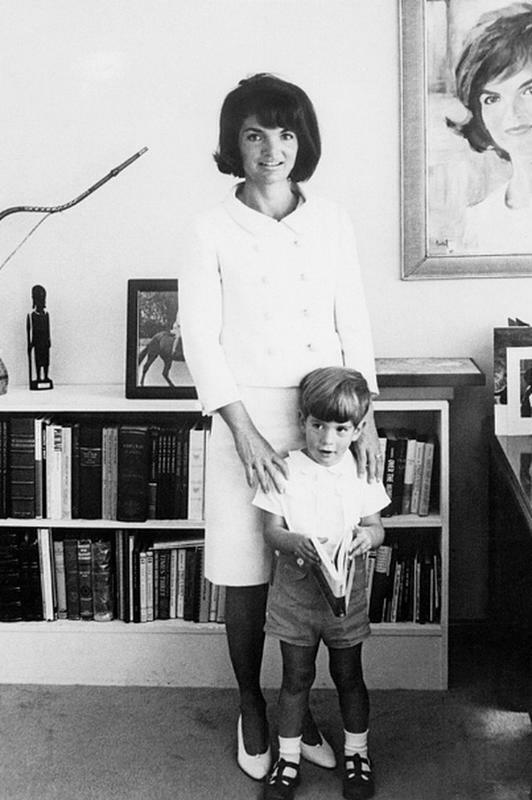 Jacqueline posing with John Jr. in her New York flat in September of 1964. 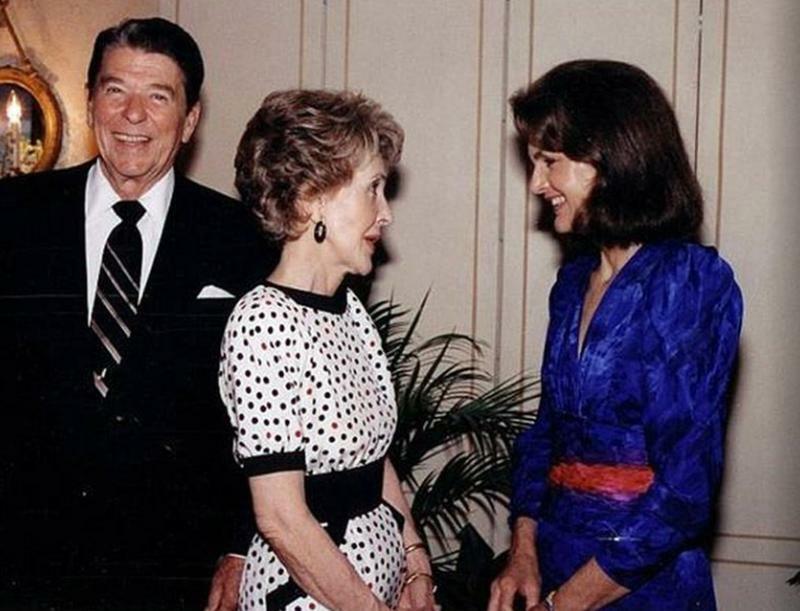 Jacqueline Kennedy together with Ronald and Nancy Reagan at a 1985 fundraiser for the Kennedy Presidential Library. 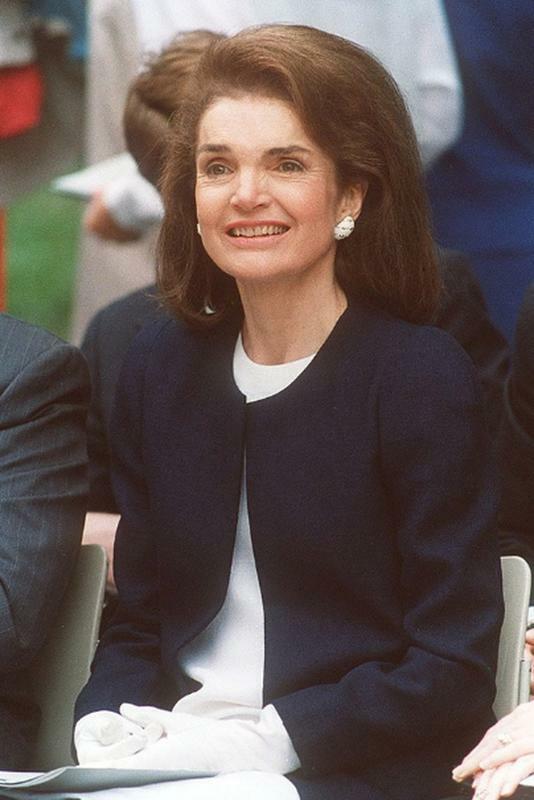 Jacqueline Kennedy attending a 1990 ceremony in memory of JFK. Now, Jacqueline Kennedy remains a predominantly enigmatic figure in the American precept, no matter how many books or even motion pictures are created about her. 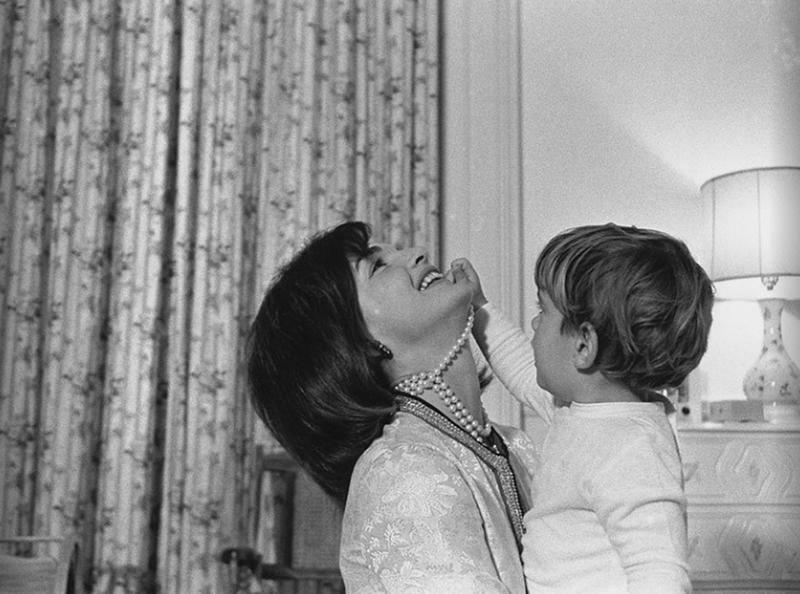 These photographs will take you back to her less troubled times, her family, and all the people she surrounded herself with as she was an ambassador of goodwill for the United States.